Deadline to consign for the May 23, 2019 online auction is only 5 days away! Catalogs are a gun auction company’s single most effective tool to present and market your collector firearms. In an auction world that is increasingly becoming dominated by off-site bidders, we use our catalogs to nearly put the guns into the hands of people around the world who are confident in bidding on your items without ever inspecting them in person. It is our job to bring your collector firearms to life on the pages of our catalogs. Our goal is to present the item as is: no better, no worse, but accurately. To see these three-volume catalogs is to truly appreciate what an impressive document they are. These books are also spiral bound for our buyers’ convenience, making them easy to browse, hold one’s place, and to use during our auctions. Anyone who orders a catalog for an auction, also receives the prices realized after the sale has finished, making the catalogs a useful pricing tool in addition to its beauty. Collectors of all types have many options at their disposal when determining what happens to their precious items when they are gone. For many, this is not the most pleasant conversation, but it is a critical topic to address. Planning ahead will not only ease the burden of the bereaved, but also save one’s benefactors and family a great deal of time and money. 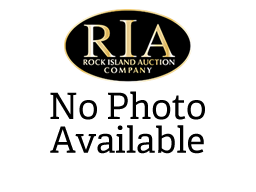 Here at Rock Island Auction Company, we’re collectors just like you. We know that even discussing the dispersal of your collection can be extremely difficult. You’ve spent years, or decades, building a collection that suits your taste and focuses on what interests you. It is exactly that difficulty that makes this matter so important to handle in advance. Fortunately, there are many options available to you as a collector and we believe RIAC to be the most profitable of them. Lot 3116: Iconic, Historic and Exceptional Colt Civilian Walker Serial Number 1078 with Magnificent Period Holster: Popularly Known as "The Thumb Print Walker"